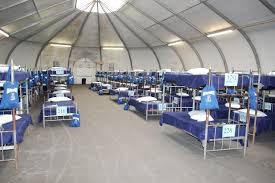 The San Diego City Council will be considering today whether to increase the budget for the Alpha House project downtown by $1 million to pay for more staff at the large tented homeless shelters, which will result in more homeless leaving the shelters for regular housing. The original goal was to get 65% of the homeless into permanent homes, but now they'll be looking at a more realistic goal of getting 30% into a variety of temporary and permanent homes. They were previously only able to get 12% into permanent homes. The city council had already approved $10.1 million for the project, including $2.8 for the 2018-2019 fiscal year. A number of assumptions were made originally, before the shelters opened at the beginning of the year. $17 a day, per person, was allocated, not including social services. They will be eliminating 18 Housing Navigator jobs in favor of 23 Case Managers, who can get more done with relocating the homeless into various types of housing. A review found that funding may not be available past 2019. 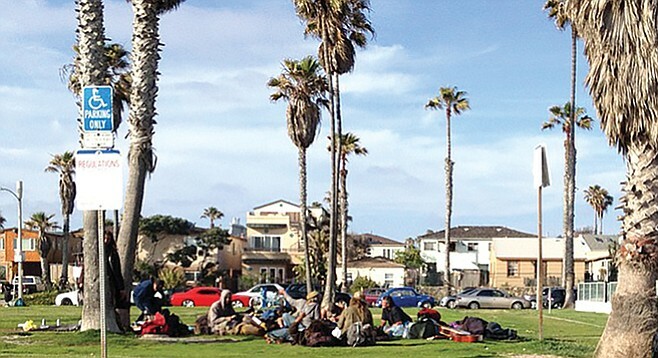 The council will also be looking into expanding the budget for the two other main homeless shelters, Veterans Village of San Diego and Father Joe's Villages. The new funding gets approval from homeless advocates, including Michael McConnell, who has been critical of the shelters. San Diego County has close to 10,000 homeless.